On Friday, September 16, Alaska senator Bill Wielechowski filed a lawsuit contesting Governor Bill Walker’s veto of half of the funding for the Permanent Fund Dividend. 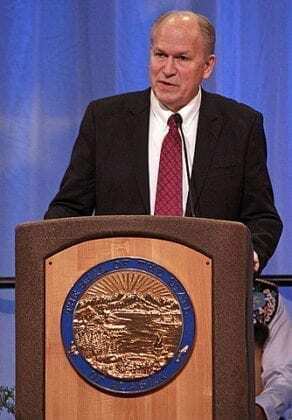 Last June, Alaska Governor Bill Walker vetoed half of the funds that the state legislature had approved for the annual payout of the Permanent Fund Dividend (PFD). This unprecedented decision caps the size of the dividend at $1000 per resident. The amount vetoed–over $666 million–is to remain in the Permanent Fund, where it may be used for future payouts. Created in 1982, the PFD is an annual dividend paid to all Alaskan residents–both adults and children–who have resided in the state for at least one calendar year. The dividend fund is financed from the investment earnings of the Alaska Permanent Fund, a sovereign wealth fund established from the state’s oil revenue. As a universal and unconditional cash payment, the PFD has often been cited as an example of a small basic income. Last year, the dividend reached its all-time peak amount, at $2072 per resident. The Alaskan media station KTUU has estimated that the dividend checks would have been about $2084 this year, had it not been for Walker’s veto. However, the state has been facing a massive budget crisis–with a current deficit of about $3.2 billion–and the PFD has come under increasing threat within the past year. Governor Walker’s veto of the dividend funds was part of a total $1.29 billion in spending cuts, aimed at addressing the fiscal crisis. I’m a big fan of sourdough pancakes. And if we treat our Permanent Fund like we treat sourdough starter, we’ll be fine. No one would ever use up all the sourdough starter. The first thing you do is you take it out and leave it for the next batch . Unsurprisingly, Walker’s veto has generated significant controversy–with some questioning its legality from the start. In the latest move, present and past state senators have attempted legal action to effectively overturn the Governor’s decision. On Friday, September 16, senator Bill Wielechowski (Democrat), along with former senators Rick Halford and Clem Tillion (Republicans), filed a lawsuit requesting the court to demand the Permanent Fund Corporation transfer the full $1.4 billion that the legislature had originally allocated for the dividend. According to Wielechowski, Walker’s action violates a law (Alaska Statute 37.13.145) that requires that the Permanent Fund Corporation “shall” transfer half of its available income to the Dividend Fund. Wielechowski has maintained that law demands the transfer of funds from the Permanent Fund Earnings Reserve to be automatic and not subject to decisions made in the state’s annual budget. He previously expressed his position in a letter to Angel Rodell (dated August 10), the executive director of the Permanent Fund Corporation, in which he requested that the Permanent Fund Corporation “follow the law and immediately make [the] full transfer” of funds from the Earnings Reserve to Dividend Fund. Rodell did not respond, however, prompting Wielechowski to proceed to legal action. The Alaska Democratic Party expressed support of Wielechowski’s lawsuit in a press released issued on September 20. Hundreds of hours of research leads me [Wielechowski] to conclude that the Governor does not have the authority to cut Dividends in the way he proposes. The Governor cannot veto existing law. No governor can. His veto power extends only to appropriations and bills . This year’s PFD is close to the historical average paid to every eligible Alaskan since 1982. It was set at a level that could be sustained as part of a larger fiscal solution–to ensure a PFD program continues for generations to come. Walker also uses the letter to reprimand Wielechowski for failing to work towards a solution to the state’s financial crisis, contending that the lawsuit detracts from this larger issue . My decision to veto half of the money for this year’s dividend was a difficult one, made with painstaking forethought and consideration. Without my veto, the money that funds PFDs would be gone in just four years. Ultimately, I want Alaskans to be able to receive a PFD for years into the future, and $1,000 this year means our kids and grandkids can look forward to a similar dividend in the years to come. It is Walker’s belief that, due to the state’s worsening fiscal crisis, it may eventually be necessary to draw money from the Permanent Fund Earnings Reserve to cover deficits–and that, thus, lower annual payouts are needed to extend the fund’s life. Co-plaintiff Clem Tillion, in contrast, has recently written an editorial in which he contends that the best way to preserve the future of Permanent Fund (and, thus, the dividend) is to “just leave it alone” . On Friday, September 23, Governor Walker will make an official announcement on the amount of the 2016 Permanent Fund Dividend. His office will also disclose the amount that the dividend would have been without the veto . The first payouts will begin on October 6. The lawsuit is unlikely to be settled by this time. Nathaniel Herz (September 16, 2016) “Alaska lawmaker sues to restore full PFD after Gov. Walker’s veto,” Alaska Dispatch News. Cameron Mackintosh (September 16, 2016) “Sen. Wielechowski files lawsuit challenging governor’s PFD cuts,” KTUU. Liz Raines (September 16, 2016) “Past, present lawmakers file joint lawsuit to overturn governor’s PFD cut,” KTVA Alaska. Alex DeMarban and Yereth Rosen (June 30, 2016) “ ‘Day of reckoning’: Gov. Walker vetoes hundreds of millions in spending, caps Permanent Fund dividend at $1,000,” Alaska Dispatch News. Clem Tillion (September 15, 2016) “Want to save the Permanent Fund and Dividend? Leave them alone,” Alaska Dispatch News. Ben Anderson (September 21, 2016) “On Friday, Alaskans will find out this year’s PFD amount — and what it could have been,” Alaska Dispatch News. Article originally written on September 16; edited on September 22 to include reference to the Democratic Party’s press release and the Governor’s forthcoming announcement on the PFD. The PF dividend has to be doubled to $4,000 to prevent an economic depression. 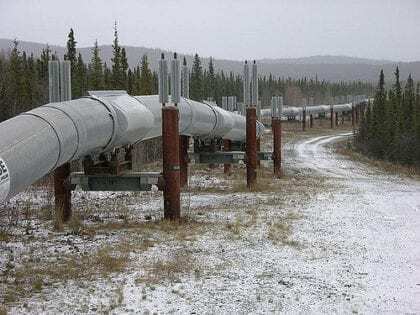 Alaskans will “pump” this money into the Alaskan economy. Low income Alaskans and fixed income Alaskans can sure use this dividend to pay the bills and buy goods and services. Keep the money flowing, to keep the economy going. Walker has no right to do this! It’s so illegal for him to cut our PFD’S, no governor has that power! I think he should be impeach for this! What is going to be our PFD’S next year? $10? Maybe $5? Who knows with him in office giving this money to big oil and padding his future, screw our future! maybe he should cut back on what his yearly pay is so that he can see what it is like living on nickel and dime. I doubt he could afford those fancy suits. I’ve warned you Mr.Walker, Be prepared for both You’re political and Leagal career to come to an end… Ever been Audited NY the OTS, That’s coming too! If you are a true Alaskan, you are willing to give up part of your PFD to keep our state healthy. For those where this state is just a stop and visit for a year or two, or one who spends a large chunk of his or her time in another state, then you are more likely not to be supportive. I am concerned and willing to be supportive. It is not truly my money anyway as I have done nothing to earn it. It is a gift for just living here. then make sure you return that check you receive so that it can go back in to the debt he is trying to resolve. I mean since its not your money anyway. The pfd was set up with its BASIC premise to avoid just exactly this situation; e.e. To keep the legislators’ hands off it. Therefor Walker is wrong. It is also Supreme Court tested! I agree that if our Governor is allowed to tap into the PFD, it will continue to be used for “emergencies ? ?” Whatever that may be ? I can only think of how we lost all our social security for the same reason… politicians couldn’t stand to see that money sitting there, growing, for future generation!… “gee. we used it once, we can do it again with lots of promises for how we’ll get it back”?….. We’ll never get it back! The pot will be empty in 4 years! Its more then just taking the Funds money, its grand thief and crime has been committed. When do we arrest the Governor and jail him. 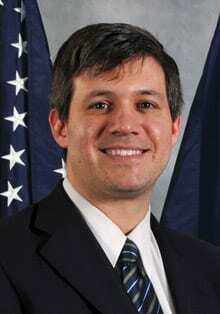 Is he above the law, is this who we want to represent our state and steal from the residents of Alaska. Remove him from office and prosecute for the crime he has committed.